For those not too concerned with price, and if you happen to be shopping for a luxury-laden crossover SUV, we highly recommend checking out the 2013 GLK. Say someone was to mention the term “luxury car.” Chances are your mind would immediately race to one of the big German marquees; dollars to donuts one of those is seminal automaker Mercedes-Benz. Why is that? Well it’s simple really: Mercedes has been making luxury cars for a long time now and they happen to do it pretty well. Part of that success comes from being competitive. Cars like the C, E, and S class showcase the brands commitment to luxury and engineering excellence across a number of segments. Back in 2009 rivals Audi, who have been nipping at the collective heels of virtually all the luxury automakers, released its second SUV, a compact luxury crossover, to slot behind its larger Q7, dubbed the Q5. Not ones to be left behind, the Stuttgart-based luxury automaker followed suit in 2010 and along came the Mercedes-Benz Geländewagen Luxus Kompaktklasse (GLK). 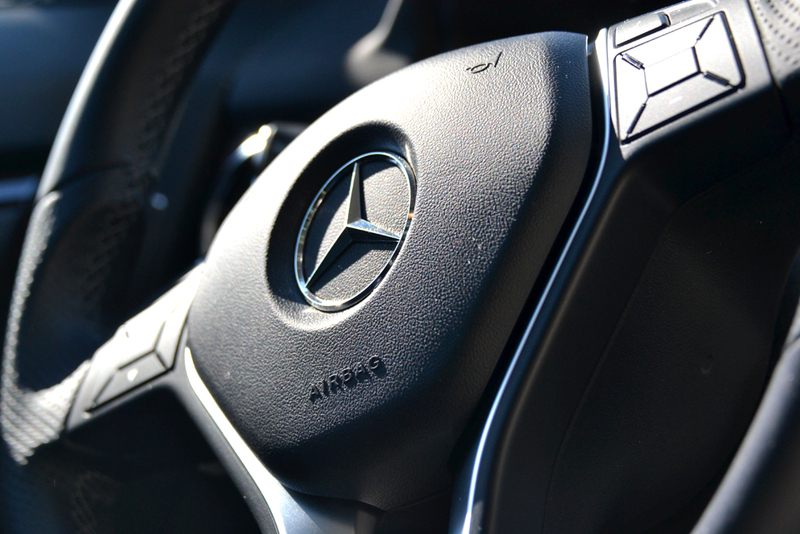 When it debuted, the GLK was warmly received. Based off the C-Class platform, this luxury crossover offered a sophisticated blend of style, performance, and comfort. 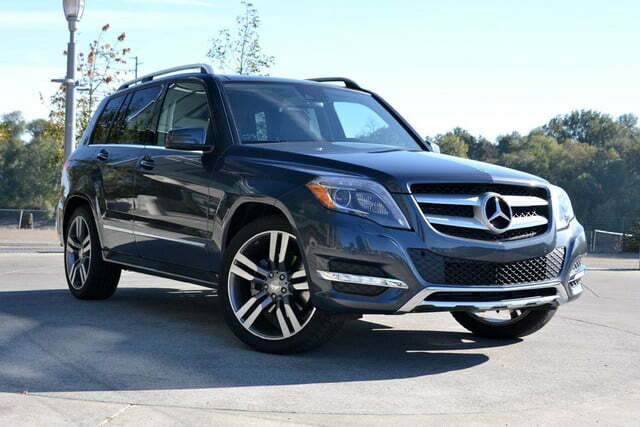 For 2013 the GLK is back on the block with improvements across the board. Are they significant? It’s looking that way. 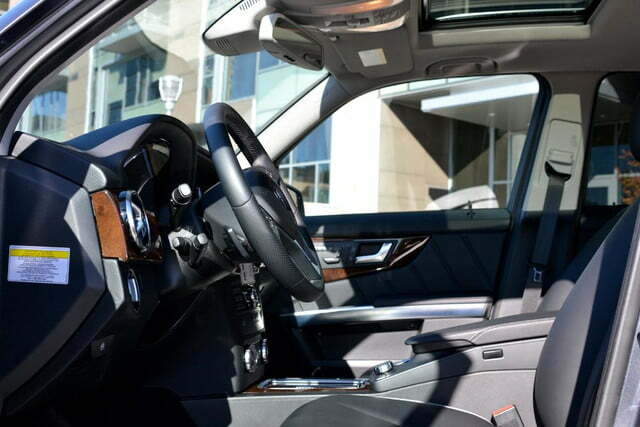 Step inside the 2013 Mercedes-Benz GLK350 and there’s no question that this is exactly what a luxury car is meant to look and feel like. Premium materials bathe the cabin and give off a real sense of quality and warmth you simply won’t experience outside the luxury segment. 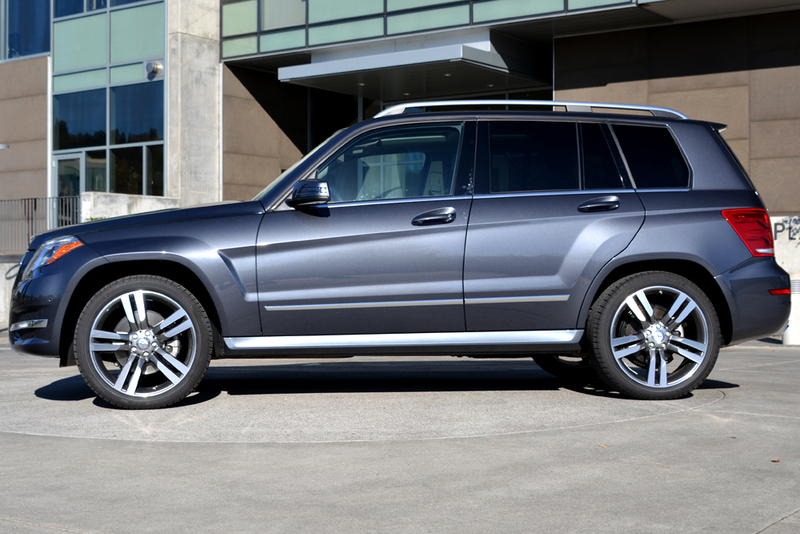 With the 2013 GLK, Mercedes manages to smartly blend old-world luxury with a cabin that feels decidedly modern. Here, glossy and rich wood paneling combined with chromed-finished brightwork and make for an eye-catching aesthetic. Truthfully we’ve never been big fans of wood trim, but some brands manage to do it well; Mercedes-Benz belongs among them. For drivers, simply sitting inside the GLK is quite comfortable and provides its own degree of luxury. 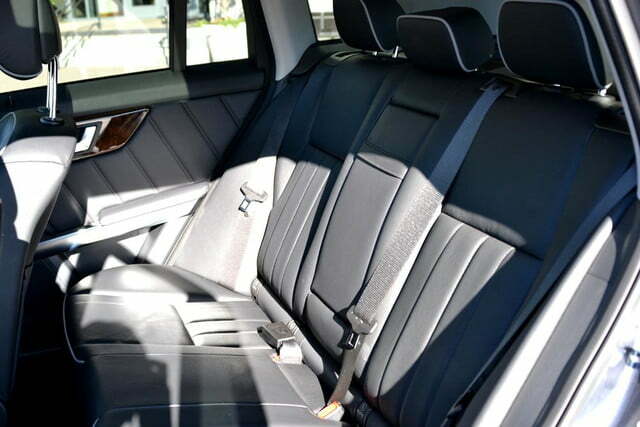 Our review unit came equipped with full leather upholstery and felt as great as it looked. Behind the three-spoke leather-wrapped steering wheel sits an illuminated instrument cluster that features a triple-gauge display layout. Inside the middle cluster, which houses the vehicle’s speedometer, sits a digital display unit that shows various vehicle, audio, and performance information, and can be controlled via the steering wheel mounted controls. There are some misses here and there, and the cabin has a tendency to feel cluttered with the amount of buttons sprinkled throughout. For instance, the control console located in the middle of the center stack is an amalgamation of buttons and dials. We’re also not too keen on Mercedes opting to place the gear shifter as one of the stalks just behind the steering console. Naturally one would become used to it after some time, but it just feels awkward and unnatural from a driving perspective. Up front there is ample space for both driver and passenger, with each side given four-way power lumbar seat controls and driver memory functions. Sadly, It’s only when clambering into the rear seats did we become privy to some of the GLK’s shortcomings. For most, and especially up front, the GLK provides the space and storage you’d expect from a compact crossover. Unfortunately, when it comes to backseat real estate, the GLK can’t match up to some of its competitors, which is why this is one premium CUV that will undoubtedly fit best for couples or those with small children, or none at all. Likewise, if you’re looking to haul a hefty amount of cargo, say to or from the golf course, the GLK will likely suffice, but don’t expect it to truly meet your carrying needs because at 23.3 cubic feet with the rear seats up and 54.7 cubic feet folded down, the GLK offers up only a mediocre amount of carrying capacity. 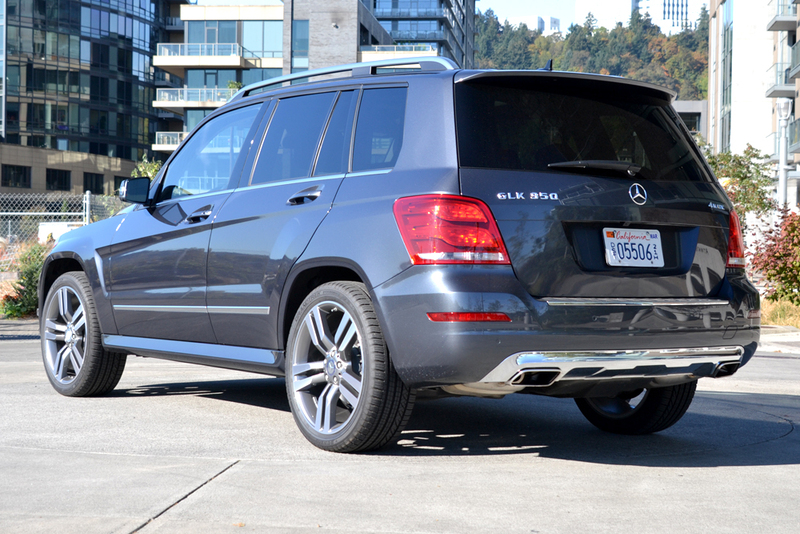 As far as cabin tech is concerned, the 2013 Mercedes-Benz GLK is impressive to say the least. The German outfit has long been a pioneer with its car tech and the GLK is no different. Standard features include a 5.8-inch color display located in the dashboard, Mercedes’ COMAND control knob, and Bluetooth hands-free calling interface. 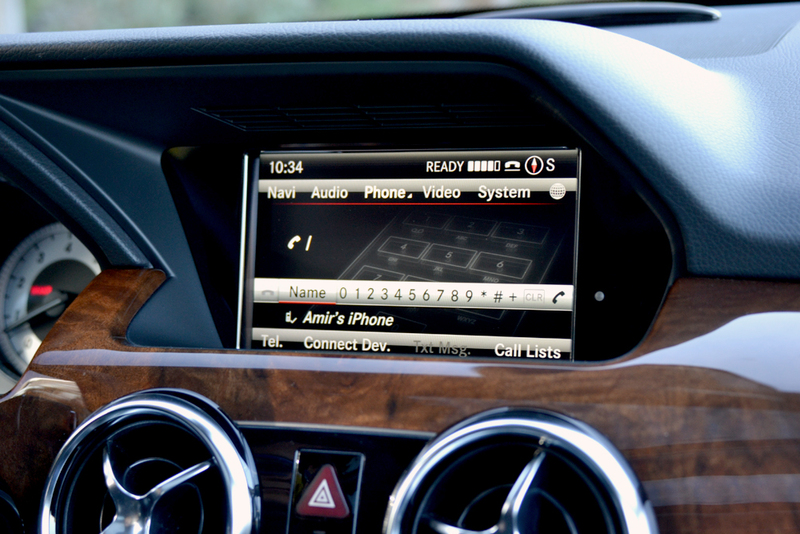 Likewise, the 2013 GLK supports voice commands searches for phone calls as well as for accessing the vehicles single-disc CD player and AM/FM radio, which also come standard. But wait. What about navigation, smartphone connectivity, and iPod/iPhone audio streaming? Great question, the answer is: It’s there, but it’ll cost you. In order to get the aforementioned features (sans navigation) drivers will need to opt for a $3,450 premium package. The premium package also adds SiriusXM Satellite Radio, a stunning panoramic sunroof, and automatic power liftgate, among others. Wait, there’s more, but only if you pay. To get navigation you’ll need to add, or rather subtract, another $2,790 from your bank account for the Multimedia package. 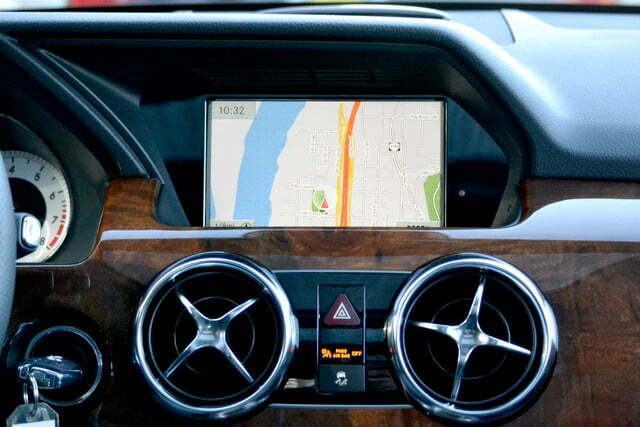 This package adds HDD-based navigation system and rearview backup camera. Optioning the Multimedia package also nets a more responsive voice command system which makes spoken prompts for navigation a reality and an upgraded seven-inch screen display. Fancy heated front seats? Add another $750. 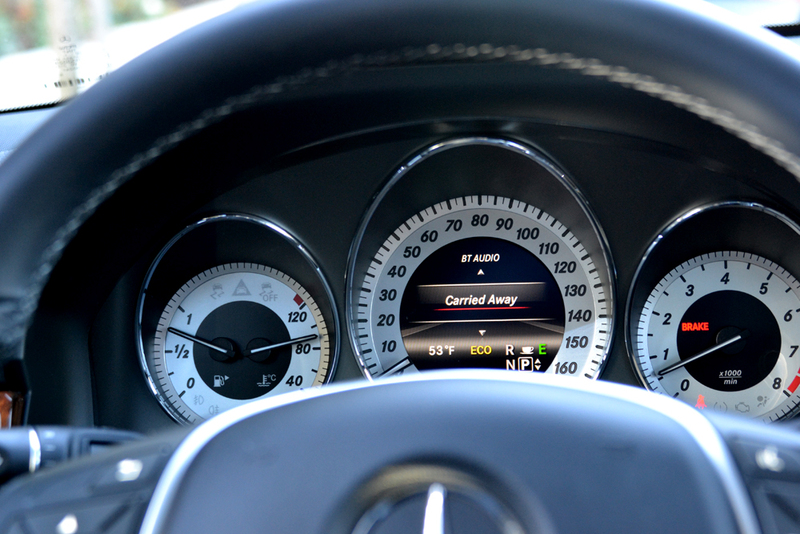 The 2013 GLK also sports two different driver safety tech features. There is a lane-tracking package which in addition to adding another $850 to the bottom line, throws in blind-spot monitoring and a lane departure warning system. Here, the vehicle’s system will detect if there are vehicles or objects in your blind spot and seek to warn you, but that’s it. Upgrade to the Driver Assistance package for $2,950, and the system will provide force feedback through the steering wheel as well as advanced breaking and collision detection to help mitigate a collision. Of course, chances are if you’re cross shopping a 2013 GLK you’re not too concerned with the amount of zeros on the end of the sticker price (an all-wheel drive GLK starts at $39,090) and no doubt some will invariably welcome the opportunity to customize their GLK to perfection, but we can’t help but feel a bit nickel and dimed by all the vehicle packages and options, especially when those packages and options hikes the cost up by $12,000 as it did in our review model. Issues concerning price aside, we can’t fault GLK for offering a robust and impressive amount of features within its well-appointed cabin. Some low points manage to creep up, though. Mercedes has wisely forgone a touchscreen in favor of its COMAND knob interface, and while this dial/button combo works reasonably well, we found the location of the knob – sitting low and in front of the armrest – to be awkward and distracting to deal with. Often we found ourselves having to take our eyes briefly off the road and down towards the console when trying to locate it. Truth be told we prefer the mouse-like interface found in the newer Lexus models like the GS, LS, and ES. That being said though, Mercedes’ LCD display is one of the clearest, most vivid we have seen and bests it Japanese rival in that respect. Connectivity is a huge part of the modern automobile and the 2013 GLK350 is no different. The luxury compact CUV offers three levels of connectivity via its Mbrace packages, which includes roadside assistance, automatic collision detection, and stolen vehicle recovery. Drivers can also download the Mbrace app for either Android or iOS, and remotely control features like unlocking the vehicle’s doors, light and horn controls, as well as locating the vehicle in a crowded lot. A complimentary six-month trial period is available upon vehicle purchase, wherein after that driver will be required to pay $280 per year for a subscription. For $20 more, the second tier of Mbrace connectivity, Mbrace Plus, adds Mercedes-Benz concierge service. Here drivers can get live destination downloads, traffic and weather updates, and route assistance. For those who truly seek to be connected via their vehicle – and for an additional $14 per month fee – Mercedes offers an Apps package that throws in a Web browser, Google Local Search, Facebook, and Yelp. The 2013 Mercedes-Benz GLK 350 forgoes the traditional CUV styling conventions for a more traditional design. It doesn’t look particularly aerodynamic; it isn’t rounded or curvy like an Audi Q5 or Volvo XC60. But what it lacks for curves it more than makes up for with its aggressive, muscular, and handsome aesthetic. That’s quite a departure in the crossover segment, where jellybeans on wheels reign supreme. Its sharp edges and angled dimensions certainly give it a more rugged and off-road-ready vibe than the vast majority of its rivals, but we can’t help but like it. It isn’t as stylish or eye-catching as say the Range Rover Evoque (what is, really?) but toss in Mercedes’ Sport Appearance Package ,which adds 20-inch five-spoke alloy wheels and brushed aluminum roof rails, and the 2013 GLK looks good, damn good. 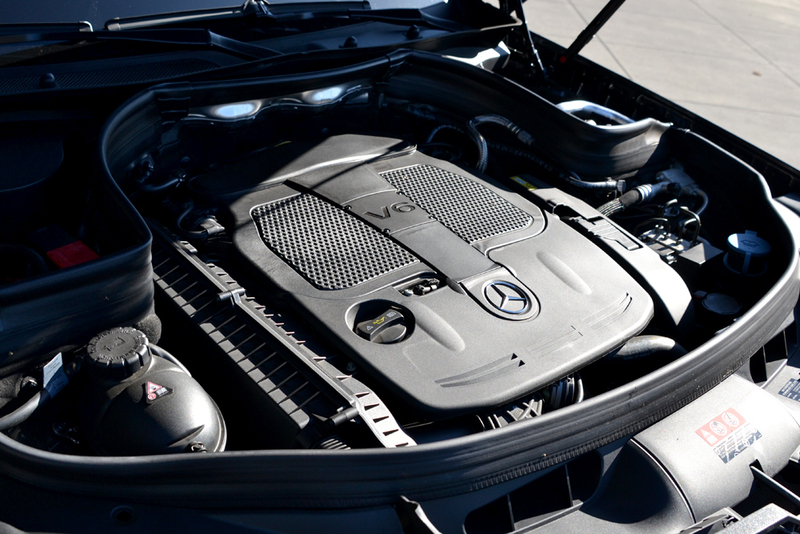 Under the base GLK 350’s elongated hood we find a 3.5-liter V6 producing 302 horsepower — up from the 2012 model year’s 268 — and 273 pound-feet of torque, while power is sent to the rear wheels via a seven-speed automatic transmission. The rear-wheel configuration comes standard and starts at $37,090, while our 2013 GLK 350 4Matic review unit came equipped with all-wheel-drive tacks on another $2,000 to the base model, bringing the grand total to $39,09 in the 2013 GLK 350 4Matic. 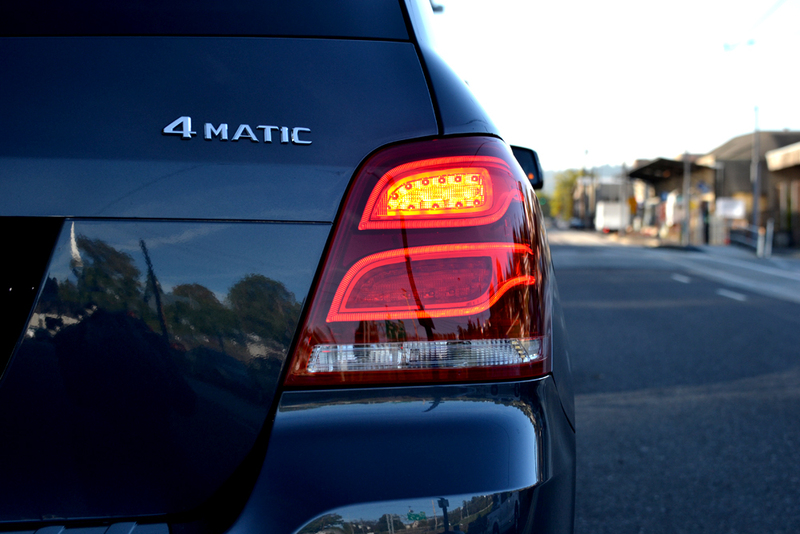 Pro tip: All Mercedes-Benzes carrying the 4Matic suffix denotes all-wheel-drive. 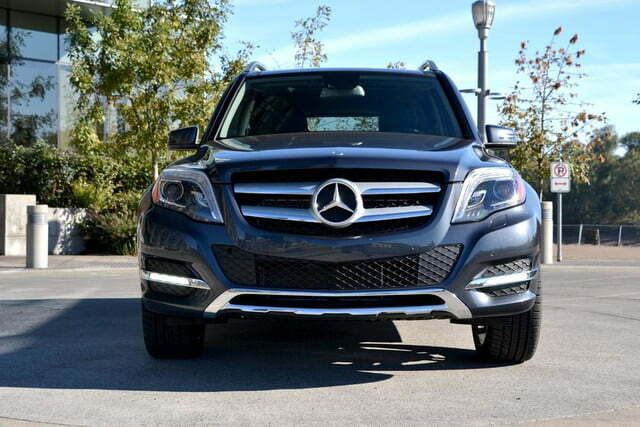 Fuel economy in the 2013 GLK 350 isn’t stellar, but it isn’t the worst we have seen either. EPA estimate figures put the GLK350, both RWD and AWD at 19 mpg in the city, 24 mpg on the highway, and 21 combined. For reference, Audi’s Q5 manages 20/28/30, the BMW X3 nets 19/26/21, and the Volvo XC60 putters along with 18/24/20. As mentioned, we didn’t drive the RWD GLK so we can’t confirm the numbers any real-world numbers, but during our week-long review period we found the EPA’s estimates to be fairly accurate. For now, powertrain options are limited to the V6, but Mercedes will offer its GLK250 BlueTec diesel version of the GLK sometime early next year. Fuel economy numbers haven’t been released yet, but we do know it will sport a turbocharged 2.1-liter four-cylinder diesel engine outputting 190 hp and 369 lb-ft of torque. Suffice it to say, we’re very interested in testing it out once released. Fuel efficiency enthusiast will be happy to know the gasoline-powered 2013 GLK350 offers two important fuel saving features in the form of an Eco Start/Stop function and an Economy drive mode (more on that below). Eco Start/Stop behaves just as it sounds: when the vehicle comes to complete stop (and the eco mode is engaged) the vehicle’s engine will shut off automatically. As soon as you’re foot releases the break it immediately switches back on; it’s all very seamless and executed so quickly you hardly notice it, which is good because our last encounter with the technology was rather shaky in the 2013 BMW 335i. Consider this one area where Mercedes has its Bavarian rivals beat. 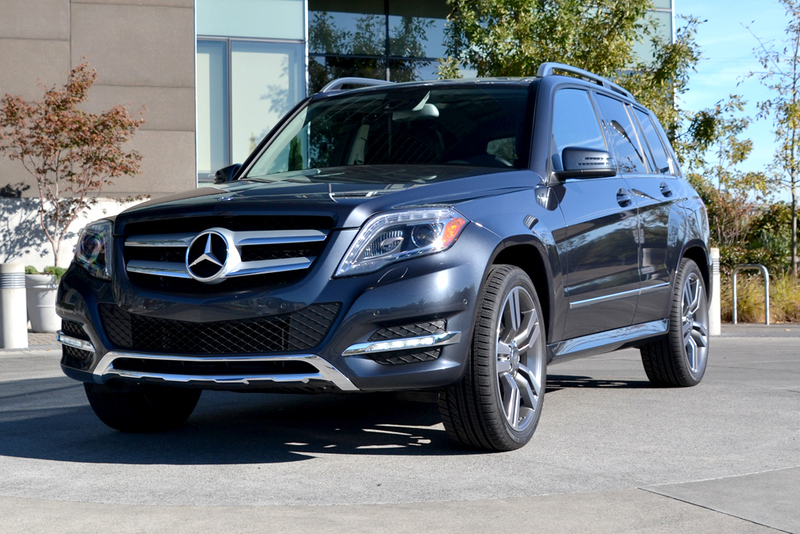 For all the GLK350’s bells and whistles, where everything manages to come together is out on the road. Here the compact luxury crossover delivers a pliant, capable ride with a hefty dose of comfort and a sprinkle of athleticism. The GLK never manages to drive like a car, despite sharing a platform with the C-Class sedan, but it definitely comes close. Some cabin sway can be felt during more arduous corners, but given the GLK’s height it never feels obnoxious. All wheels mange to stay firmly planted to the road and the GLK instills a great degree of confidence on less than ideal surfaces. Even when the surface becomes an amalgamation of bumps, holes, and the like the GLK’s tightly tuned suspension soaks up imperfections like a sponge. We wouldn’t recommend taking it off road, but the GLK can hold its own when the going gets rough, doing so with grace, civility, and aplomb. Stick to the freeway and city and there will be nary a complaint. 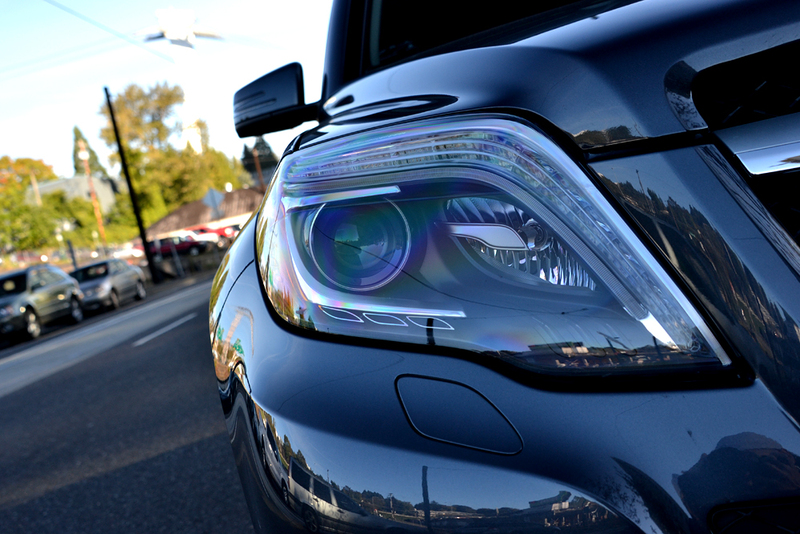 The GLK offers two drivesmodes: Eco and Sport. The former is, you guessed it, aimed at returning the best possible mileage by humming along the rev line and shifting with great haste, while the latter prolongs its revs for increased power and performance. Of the two we say the Sport mode delivers the most driving joy, but of course the tradeoff is fuel economy. 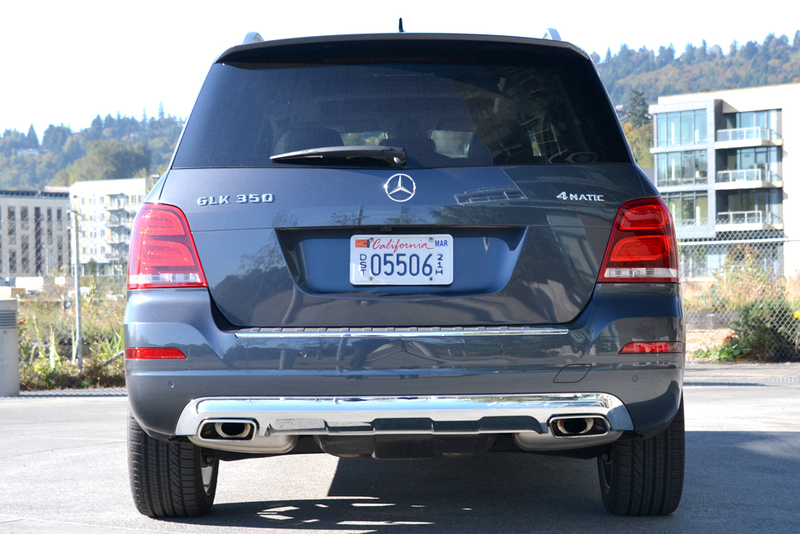 Besides being a mouthful, the 2013 Mercedes-Benz GLK 350 4Matic is one sweet compact luxury crossover. In addition to its svelte exterior and wide array of tech and comfort features, the GLK tackles the open road with a performance-oriented ride that keeps in constant touch with the luxury nameplate it bears. It might not long for less forgiving terrain, but the GLK’s poised road manners will surely win itself some admirers, including us. While we have no reservation lauding the GLK, the one low note in an otherwise dulcet automotive symphony is the amount in which the 2013 GLK will set you back. In its most Spartan state the GLK350 4Matic costs an agreeable $39,090; subtract two grand if you can live without AWD. Factor in more packages than a UPS warehouse and that number climbs northward to $53,905. Still, for those not too concerned with price, and if you happen to be shopping for a luxury-laden crossover SUV, we highly recommend checking out the 2013 GLK. For more pictures, check out our 2013 Mercedes-Benz GLK350 photo gallery.